From this time, she knew her passion lay in working with antiques. After completing her studies, she further expanded her knowledge during 5 years of dealing antiques and working with antiques dealers that she admired. In 1993 she co-founded and ran The Swan at Tetsworth, totally refurbishing the derelict but historic Grade II listed Elizabethan coaching inn. At The Swan she vetted and sold the stock on behalf of over 80 dealers, from 40 showrooms, training and managing a team of staff to help customers find the right antiques for their needs, whether that was a single item, furnishing homes and business premises, or supplying dealers with stock. During this time she served as both a committee member and fair organiser for the Thames Valley Antique Dealers Association. Through these activities she gained a privileged understanding of the antiques trade and developed an extensive network of contacts within it. 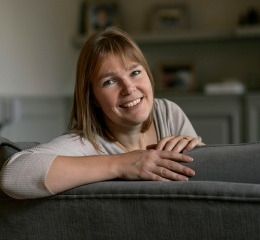 Throughout her career Elizabeth has helped many private clients navigate their way through the uncertainties of the antiques trade and she established Elizabeth Fell Ltd specifically to focus on the needs of people who wish to buy antiques with confidence.